It couldn’t be easier moving people or things in, out and around Auckland. Give us a ring on 0800 46 22 74 or make a query through the website. Basic Rentals help people move from A to B by hiring small box body trucks that can be driven on a car licence (Class 1). Truck prices range from $75 – $149 for up to 8 hours during business time. We also do overnight hires. 100 free kilometres with an 8 hour hire. 50 kilometres with 4 hour hires. One of the only companies in Auckland that offers free mileage. The bond is $300, GST is included in all prices AND so is our Basic Insurance. These things make us the cheapest around. Don’t forget to check out our specials. See our truck page for details. Car prices range from $55 – $62 for a 24 hour period. We have 4 door sedans, 5 door hatchbacks, station wagons. The longer the hire the cheaper the car gets. You can hire one of our Mischief range for as low as $25/day. Unlimited mileage and a cheap bond. We now have car seats, and booster seats available for hire. See the accessories section on our car page for details. The bond is $300. GST is included in all prices AND so is our Basic Insurance. These things make us the cheapest around. See our car page for details. We also have trailers in our fleet to help you with that move or with just the small loads of things. We have caged and furniture trailers. Our caged trailers ranges from $30 – $60 per hire and our furniture one ranges from $50- $95. The longer the hire, the cheaper the trailer gets. There is a cheap bond for the trailers. GST is included in all prices AND so is our Basic Insurance. These things make us the cheapest around. See our trailer page for details. We also have vans in our fleet to help you with your move or with just a few small things. You can easily fit your bed or other things into it. Our cargo vans ranges from $55 – $89 per hire. The longer you have it the cheaper the rate. We charge for 4 hours, 8 hours, 24 hours or up to 14 plus days. GST is included in all prices AND so is our Basic Insurance. These things make us the cheapest around. See our vans page for details. Call us NOW for a WINZ Quotation to get you on your way. Sports events, church events, off to visit the family or heading down to the beach with some friends? We have 7 – 10 seaters. These will help you to get to all those events where you need something bigger than a standard car. Our minivans ranges from $63 – $120 for a 24 hour hire. The longer the hire, the cheaper the minivans get. GST is included in all prices AND so is our Basic Insurance. These things make us the cheapest around. See our minivans page for details. Bookings are essential as we have limited stock available for hire. 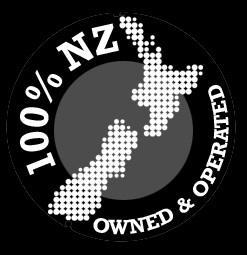 We are a growing company that has been servicing Auckland since 2008. 95% of our bookings are from repeat customers or referrals from friends and family of those that have used our service.